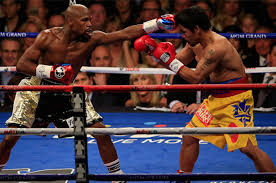 Floyd Mayweather is geting serious about wanting to fight Manny Pacquiao. Showtime Sports top guys said he's serious as a heart attack ... as in DEADLY SERIOUS. "Having spoken to Floyd, I know he's deadly serious about it. He's very, very serious about wanting the fight."